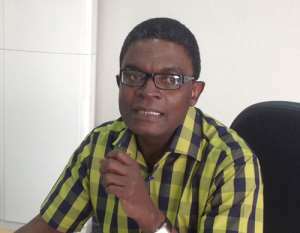 The Executive Director of the Institute for Democratic Governance (IDEG), Dr. Emmanuel Akwetey, has said the opposition National Democratic Congress (NDC) should celebrate the nomination of a member of their party, Martin Amidu, as the country’s first Special Prosecutor. According to him, the NDC should be happy because President Akufo-Addo has found the kind of quality needed to fight corruption in the country within the opposition party, which he describes as a good sign. “…It is good for the party to rather celebrate that they have a person that they made, that they shaped. He stood against them on principle and it's good that their opponent who is in power now has seen that quality and wants to put it to greater use of the country. I think that is commendable,” he added. Martin Amidu, a former Attorney General, was named as the Special Prosecutor by the President yesterday [Thursday] January 11. He is expected to be approved by Parliament in the coming days. Although a member of the NDC, Mr. Amidu has been an avid critic of his party, especially prior to the 2016 election, where he wrote some disparaging articles against the then government led by John Dramani Mahama, describing the administration as corrupt. This led to some friction between Mr. Amidu and some members of the NDC. But speaking on Eyewitness News on Thursday, Dr. Akwetey advised the NDC to take Mr. Amidu's nomination in good faith because the party used to be characterized by its zero tolerance to corruption and was an attribute possessed by the current Special Prosecutor-nominee. On whether Mr. Amidu will turn the heat on the NDC because of his dislike for some members of the party, Dr. Akwetey said this won't be the case since it could bring Mr. Amidu's downfall. “I think NDC is equally interested in cleaning up the system of corruption. NDC cannot be botched up and say everybody in NDC is corrupt, no. If you talk to them, there are those who have been fighting,” Dr. Akwetey added. President Akufo-Addo last week signed into law the bill setting up the Special Prosecutor office after it was approved by Parliament in November 2017. 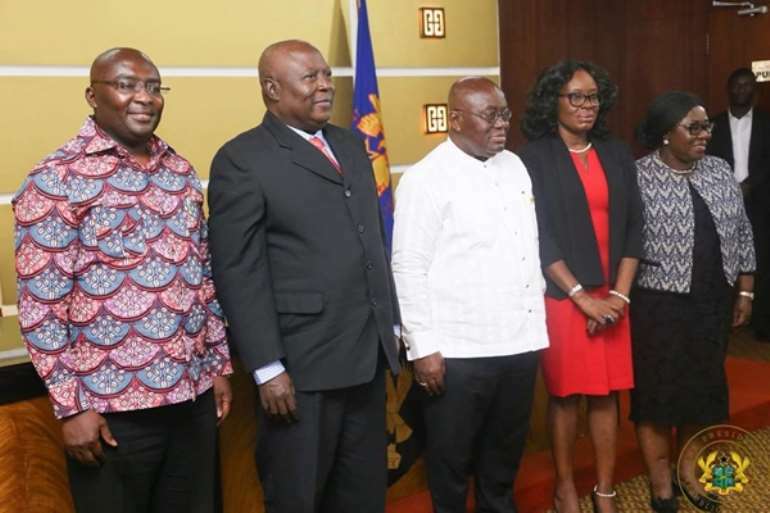 The Office of the Special Prosecutor marks the fulfilment of a major campaign promise of Nana Akufo-Addo in the run-up to the 2016 elections aimed at fighting corruption. But members of the opposition NDC had complained that the office cannot be independent if the Special Prosecutor was going to be a loyalist of the NPP. The President in announcing Amidu, said he received the nomination from the Attorney General Gloria Akuffo, and has accepted the nominee, whose name will be forwarded to Parliament for approval when the House reconvenes from recess. “The Attorney General is by a letter dated to me Thursday 11th January 2018 addressed to me exercised her power of nomination and submitted to me for my acceptance the name of the proposed special prosecutor. I have accepted the Attorney General's nomination and will, in turn, submit for Parliament's approval when it reconvenes on 23rd of January 2018 for its first meeting of this New Year the name of Martin Alamisi Benz Kaiser Amidu to be the first Special Prosecutor under the law,” he said. The President noted that, Mr. Amidu has the requisite integrity and independence of character to occupy such challenging office. Martin Amidu in a rare smile at the Flagstaff House following his nomination as Special Prosecutor. Martin A. B. K. Amidu was the Attorney-General and Minister for Justice from January 2011 till January 2012 under the late President John Evans Atta-Mills. Amidu, a member of the NDC, served as the Deputy Attorney-General for about the last four years of the Provisional National Defence Council military government. After civilian rule was established in the Fourth Republic in January 1993, he continued to serve in the government of Jerry Rawlings as Deputy Attorney-General. This he did for both terms lasting eight years until January 2001. In the December 2000 presidential elections, he stood as the running mate of John Atta Mills. They both however lost to President John Kufuor that year. In January 2010, following a cabinet reshuffle, President Mills replaced Cletus Avoka with Martin Amidu as the Minister for Interior. As Amidu is a Builsa, some people raised questions as to his neutrality in dealing with the Bawku conflict. He, however, went successfully through vetting by the Parliament of Ghana and has since assumed his post. Following the second major cabinet reshuffle by President Mills, Amidu became the Attorney general and Minister for Justice of Ghana. Martin Amidu was relieved of his post on Thursday January 19, 2012, by President John Evans Atta Mills under circumstances described by aids as 'his misconduct' at a meeting chaired by the president at the Osu Castle on January 18, 2012. He made allegations relating to alleged financial impropriety on the part of another cabinet minister, allegations he was asked by the president to substantiate. 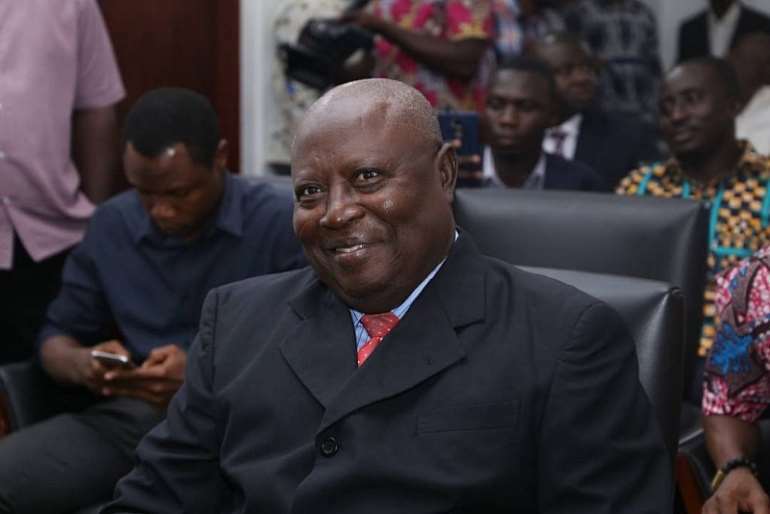 Martin Amidu, the former Attorney General, single-handedly challenged the legality of the payments after being relieved off his post at the Supreme Court. The Supreme Court in 2014 ordered Mr. Woyome to pay back the money as Supreme Court judges unanimously granted the Attorney-General clearance to execute the court's judgment, ordering Mr. Woyome to refund the cash to the state. Following the delays in retrieving the money, Mr. Amidu in 2016, filed an application at the Supreme Court seeking to examine Alfred Woyome, on how he would pay back the money, after the Attorney General's office under the Mahama Administration, led by the former Minister for Justice, Marietta Brew Appiah-Oppong, discontinued a similar application. In February 2017 however, Mr. Amidu withdrew his suit seeking an oral examination, explaining that the change of government under the New Patriotic Party under the President, Nana Addo Dankwah Akuffo Addo and his Attorney General, Miss Gloria Akuffo's assurance to retrieve all judgment debts wrongfully paid to individuals Mr. Woyome in response prayed the Supreme Court to stay proceedings on the oral examination since he had filed for a review on the case.